Ok let's just dive right in. 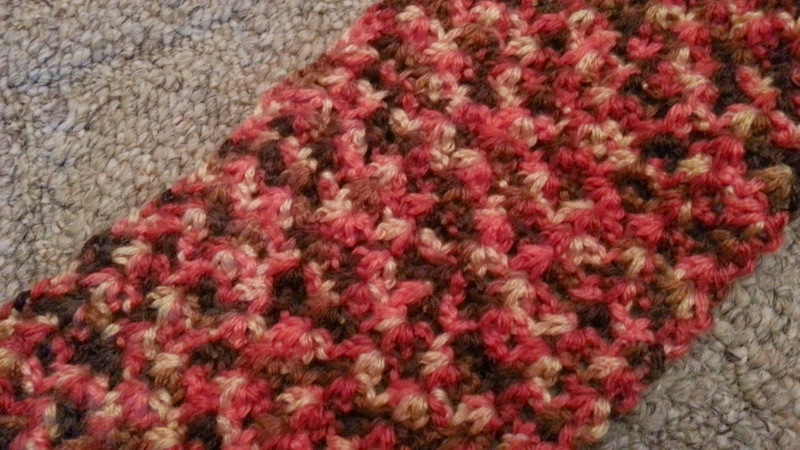 It's kinda hard to see the pattern with the very loud yarn there, but take my word for it, it's pretty! I plan to use this pattern again for sure. The scarf is a bit shorter than I had planned so I'm going to add something to either end to make it longer and look interesting, I hope. 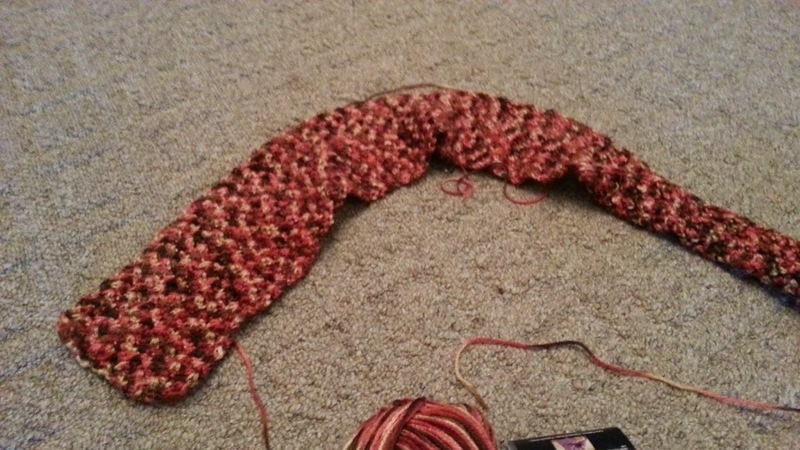 And hide the fact that halfway through I missed a pattern repeat on one end so it's kinda lopsided on that end. I'm only human!! 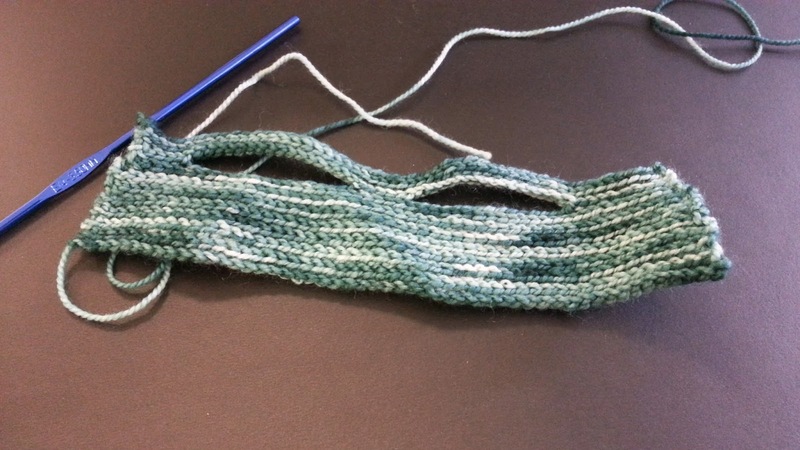 And the pattern, as I said above, is kinda hard to see with this yarn. I'm not gonna lie, I found this yarn in a clearance bin at a discount store and bought 2 balls of it. It sure looked pretty on the skein. Worked up, not as much. Oh well. Still fun colors. The fingerless gloves are coming along, too. Just getting to the first part of the braid. It's slow going, but I'm in no hurry. Weather is getting warm now, heh. We started a home WIP too. It was kind of unplanned. I was removing something from the wall in the hallway to our basement and the plaster chipped off. I've been wanting to redo those walls since we moved in. The previous owners used this weird texture paint that looks like stucco in a really.... not us hospital green color. Once the chunk fell off the wall I said "This is happening. Now." We soaked the walls and scraped all the paint off. All we need to do now is sand it and repaint. We're just gonna do the entire kitchen while we're at it. I can't wait!! Hopefully it will all happen this weekend. But you know how plans go. That's all for today. I hope everyone is well. Much love! !